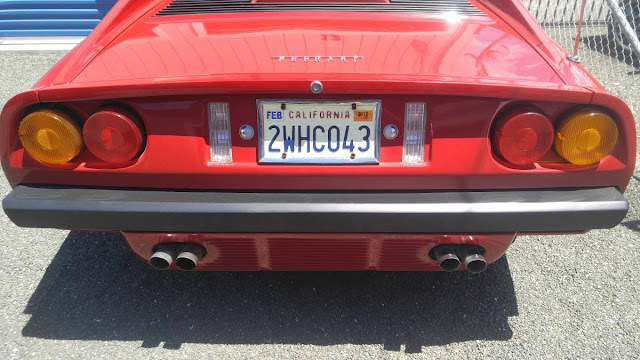 According to the guys on Fiero.net (that is a real site) the MERA (ALL CAPS!) 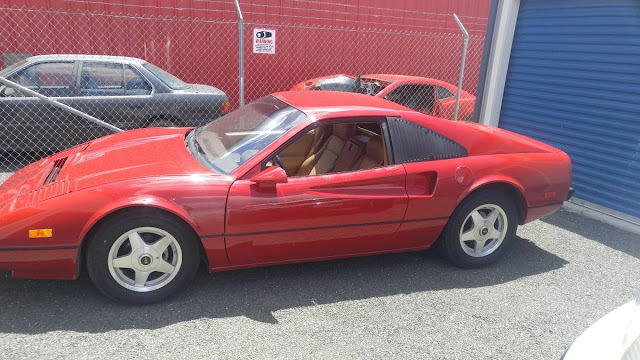 was born in 1987 and sold as a dealer installed (or standalone) kit to transform your plebeian Fiero into a Ferrari 308 lookalike. Today's Fiero doesn't appear to be an original Mera (haha...that sounds funny) but seems to be a good deal if it runs/drives well. Find this 1985 Pontiac Fiero Ferrari Kit offered for $7,000 in SF Bay Area, CA via craigslist. Tip from Rock On! This Fieroarri looks like it has recently been hit with a fresh coat of paint (notice the overspray in the engine bay) but the seller claims it "[r]uns great has new tires,front brakes,calipers,fuel pump,carberator was rebuilt." Four cylinder, but at least it's a manual. Good LS4 swap candidate? Who would know? Just dont look inside.